Amy Spina, a native of Skokie, IL, has established herself as an active freelancer in the Nashville area, regularly playing in studio recording sessions and with the Nashville Symphony Orchestra. In addition to her work in Nashville, she performs frequently with The Chicago Symphony, and has had the privilege of playing with other orchestras such as the Los Angeles Philharmonic, the San Francisco Symphony and the Milwaukee Symphony. 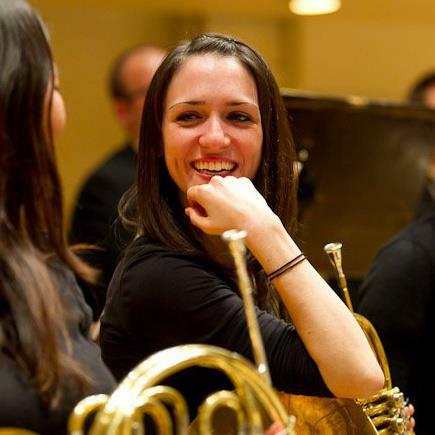 Before moving to Nashville, Anna held two one year positions with the Atlanta Symphony as their 3rd horn, and the St. Louis Symphony as their 2nd Horn. She received her Bachelors degree from Northwestern University, and attended the Colburn School in Los Angeles for her certificate. She is currently living in Nashville, TN with her fiance Paul and her two puppies.